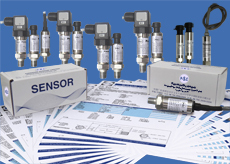 Industrial Sensors from Pressure Sensor Limited. Pressure Sensor Limited / Pressure-Sensor.comis now manufacturing an industrial / commercial line of standard and custom designed pressure sensors and transducers. Copyright © 2018 Pressure Sensor Limited.